Please, Go Here. Read This. From The Errant Aesthete. There are tidbits of elegance scattered about this post like so many dark chocolates, waiting to be ingested, exclaimed upon and savoured. 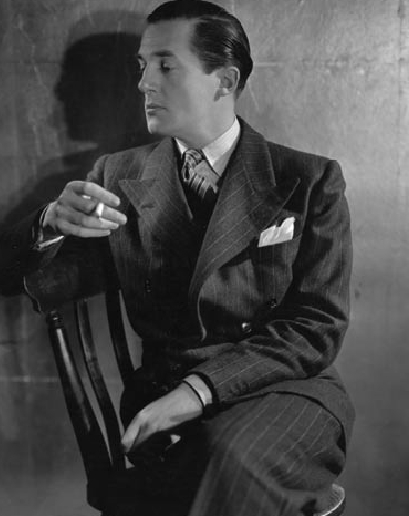 This entry was posted in Elegantology and tagged Sir Hardy Amies, The Errant Aesthete. Bookmark the permalink. 4 Responses to Please, Go Here. Read This. Oh, now that was positively dreamy. I adore Hardy. ….and this is just another reason to ‘ totally love you ‘ today ! I’m not surprised that Hardy’s life, manner and model of living might resonate with you. He strikes me as one of those guests you’d like to have gathered around the bar tray, leaving you grateful for simply being in the room. let the whole world in on the secret. Errant Aesthete, I would feel like a guest at one of my own parties — the ultimate treat. It was a pleasure to point a few people your way. As you say “How can one not be elevated by style, wit, intelligence, class and propriety. And the bons mots – priceless!” The post was a joy to read, too.